In a world where every material desire can be filled by ready-made, machine-perfect goods, why do some people still insist on doing things by hand? 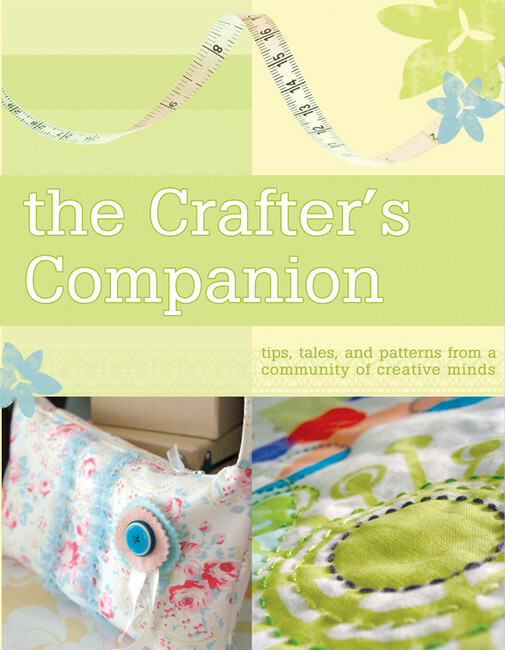 The Crafter's Companion is for everybody who loves the world of hand-crafts and anybody who's ever wondered what exactly there is to love about it. An on-line community of skilled artists have come together to answer these questions: * Why do you create? * What inspires you? * How do you work? Additionally, each artist has contributed a pattern of her own design, making The Crafter's Companion the ideal resource for practical projects and encouraging words. "Amazing idea! I really think it will be a best seller. How many times do we wander in the bookstores searching for such kind of light?" --comment on crafting blog twelve22.org. Looking for our old website, and your current or previous orders? You can access it here.